The lines outside the first pot shops in Massachusetts have had many seeing red, but state and local officials are seeing plenty of green when it comes to tax revenue. “It’s many millions of dollars. The demand is real,” attorney Jim Smith said. Smith represents two dozen cannabis businesses and has been watching the robust numbers come in. The two shops that are open, in Northampton and Leicester, reported $4.8 million in sales in the first 12 days, and roughly one out of every five dollars goes to taxes. 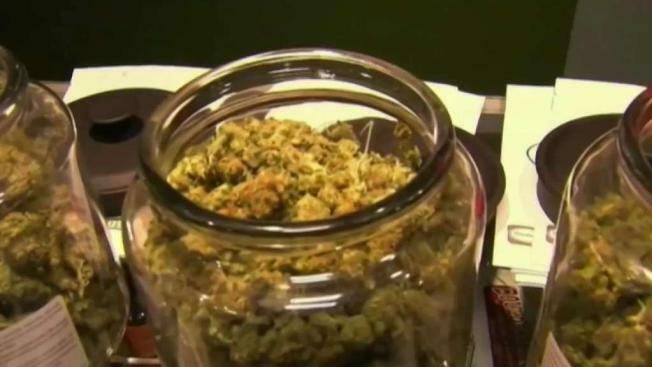 The state’s Department of Revenue is predicting the marijuana businesses will bring in between $44 million and $82 million in tax revenue during the current fiscal year and as much as $172 million the year after that. The money will fund the commission that oversees the industry and is also designated to pay for things like drug education and public safety. Three percent of the taxes go back into the cities and towns where the stores are located, and that does not include the fees they can tack on as part of a community host agreement. In Leicester, the town also receives 3 percent of gross sales up to $250,000. Town administrator David Genereux said he won’t see that money for a few months, but looks forward to spending it on things like school building maintenance and public works vehicles. “We’re very happy to be in this position because like many cities and towns, the revenue has been pretty lean for a long time and we don’t want to burden residents with tax increases if we can avoid it,” Genereux said. The windfall has led some to predict that the communities that have said no to pot shops in the past will soon be rethinking their decisions. “When the neighboring community is cashing checks in the hundreds of thousands of dollars and you’re sitting there saying 'why not me,' I think it’s only a matter of time,” Smith said.